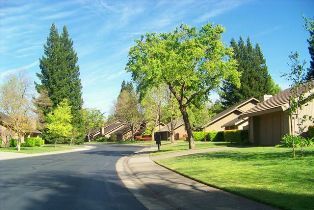 Gold River is an exclusive Master Planned Community located between Hwy 50 and the American River, East of Sunrise Boulevard. The village communities are linked by 5 miles of walking trails – including a trail that leads to the American River multiuse – biking, riding & hiking trail. The retail area includes restaurants and cafes with outdoor seating providing great views of bicyclists, and kayakers heading for the river. The private health club, Gold River Racquet Club, offers members; tennis, fitness equipment, aquatics, group gatherings and a kids club for ages 7 to 17. The club is also the home for the Sacramento Capitols, a professional tennis team. The neighborhood Elementary school, Gold River Discovery Center has been honored as a “distinguished schools of California” school and serves children from Kindergarten to 6th grade.